Warface is a free to play first person shooter which offers players an enjoyable and unique multiplayer and cooperative experience. Warface was originally released on Steam back in 2013, but was later released on the Xbox 360 on April 22nd of this year. 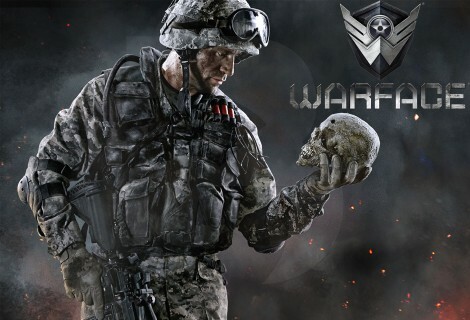 After having the game available for download on the Xbox 360 market place for less than a year, Crytek, who are both the developers and publishers of Warface announced that Xbox 360 players will no longer have the ability to connect to the multiplayer servers after February 1st, 2015. Warface is a classic eight versus eight player game. Warface is a fast paced, think fast shooter which requires good hand-eye coordination from the user. Players can choose from four very different classes which include Rifleman, Sniper, Engineer and Medic with all four of these classes being unique in their own sense. Warface is updated with numerous different challenges everyday. Players have to work as a team to win the game so you will always find youself playing a vital role to victory. Players have the ability to unlock and customize weapons to their specific liking. This is not Crytek's first time creating an adventure-shooting game, Crytek is also responsible for popular games such as Far Cry, Rise: Son Of Rome, the Crysis series, and many other games that are both enjoyable, yet challenging to play. Crytek have said that they will no longer be accepting participants on the Xbox 360, but the PC servers will remain untouched and will still continue to be fully functional. Additionally, players will no longer have the ability to purchase Kredits. Kredits are Warface's online currency, which are used to purchase items within the game. Crytek did not mention any specific reason as to why they have chosen to shut down the severs, but sources have said that Crytek had ran into several financial issues within the company. Several reports had surfaced of staff members complaining about not receiving payments on time and that Crytek is not a friendly work environment. Crytek denied all rumors and all Crytek had to say is that they were thankful to all of their supporters on the Xbox 360 since the release back in April.